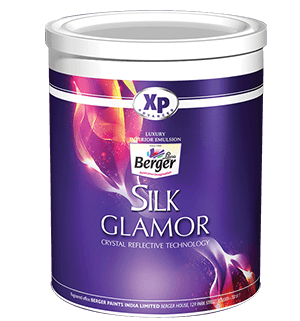 Silk Glamor Metallic is a super-premium product with high sheen and high coverage. It is available in gold and silver with a wide range of shades and used in cornices, furniture showrooms and for beauty-parlors and for beauty-parlors decoration. A metallic designer paint perfect for metal and wood, beside walls. Besides walls, the Metallica range of luxurious designer finishes which is non-blackening, is perfect for surfaces in metal and wood. With its two basic colours, gold and silver, a myriad metallic shades can be created. 5 new designs,short listed from 20 new patterns as per consumer research are – Moon Rock, Nova, Flora, Autumn and Silver Fire. To celebrate this change and to reenergize the brand "Illusions" we are coming with new designs that will create a buzz among consumers and their experience will be bigger. USP These 5 patterns are really innovative in nature and no competition can offer the same. How these new patterns are different from existing market designs? New patterns are very easy to replicate and no special training is required. Any painter with little bit of painting experience can create these patterns without much hassles. Therefore these designs are user friendly and 100% replication is guaranteed. New design application does not depend on workmanship but on the product and the tool used. Therefore use of a proper tool will be enough to create designs as per the shade book. Slik Breathe Easy with Oxy rich formula is a 100% acrylic water base wall coating which emits up to 90% less VOC than regular paints. It is the only green paint with international accreditation available. It is formulated with special type of tough emulsion and finest pigments available. It is formulated in a balanced mannerflow, dispersion sheen level, antifungal with the addition of several state of the art additives. It is high stain resistant and is easy to maintain. It is useful for place like hospitals, nursing homes, hotels, airports, children rooms, for elderly person's room and for those having breathing problems. USP: Low voc, high sheen, high scrub resistant, longer life, silky feel on touch. It is free from any heavy metal like lead mercury and chromium. 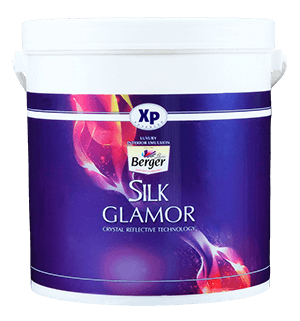 Silk Glamor is a luxury interior emulsion designed to give your walls a durable, glamorous and rich appearance. 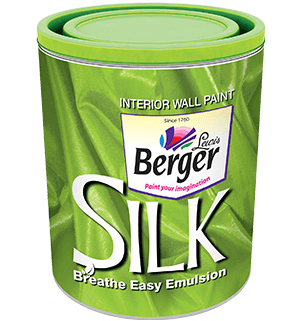 Silk Glamor Luxury Emulsion is formulated using the Crystal Reflective Technology to give an ultra-smooth finish to the walls and retain its freshness for a long time. The product is free of added APEO, formaldehyde and is low in VOC. 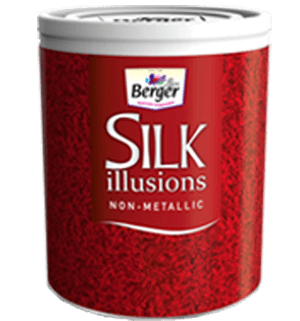 Silk Glamor is available in metallic and non-metallic shades. 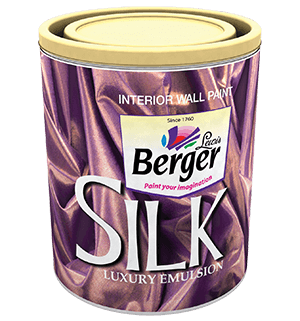 Experience rich, smooth and luxurious walls with Berger Silk Luxury Emulsion Berger Silk epitomises luxury for your walls due to its sensual finish, supreme lustre and exotic colors. 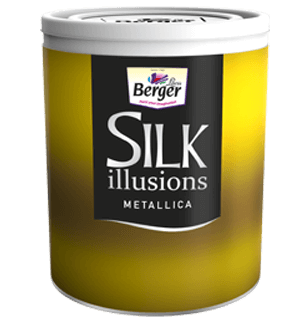 Formulated with 100% acrylic binders to enhance scratch resistance, anti-fading pigments for those rich hues and bio-resistant additives for enhanced durability, Berger Silk is the treat of a lifetime for your walls. No Daag No Dhabba. Only beautiful walls. Easy Clean gives a rich luxurious finish backed up by Cross-Linking Polymers which ensure that even stubborn stains can be cleaned easily from the wall, keeping your home looking spot-less & beautiful day after day. Total care for your home. 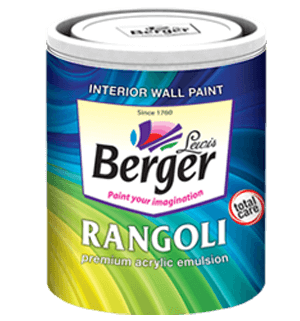 Rangoli Total Care gives the best-in-class coverage, whiteness, smoothness & finish to the walls. 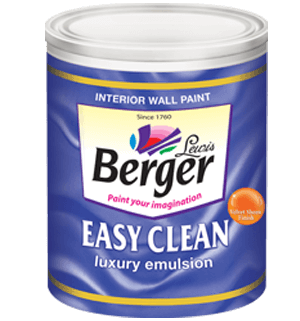 Its enhanced bio-resistant formula prevents the walls from fungal & algal attacks and the fine extenders helps in giving a butter-like smooth finish to the walls. 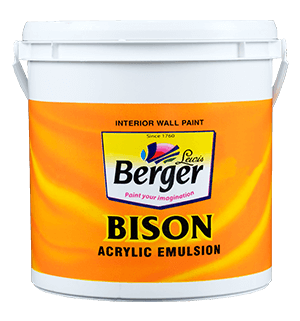 Bison Super Emulsion is the “best value-for-money” product in its category. Its affordability, durability and adaptability to suit various surfaces, as compared to ordinary distemper, makes it really unique. Being available in 10000+ shades through the Colorbank Tinting System, special color-fast pigments give it anti-fading properties. It creates an exquisite matt finish and has medium washability and anti-fungal properties too. Commando Interior Acrylic Paint is an acrylic emulsion based value-for-money interior wall paint that gives an emulsion like finish at low cost. It is tailor-made for consumers looking for a better finish at a slight increment of cost from distemper. It can be tinted to the required shade through our colour bank. Commando is an interior economy paint priced and position right above distemper. The price point of the product is such that it upgrades consumers from the distemper category at a lower cost with superior attributes. All fast moving shades of distemper can be tinted in Commando colour bases. Apart from this, there are other shades which can be tinted in its bases to give the consumer a wide range of shades. It has superior whiteness in the category, better wet and dry opacity than distemper and an emulsion like finish. 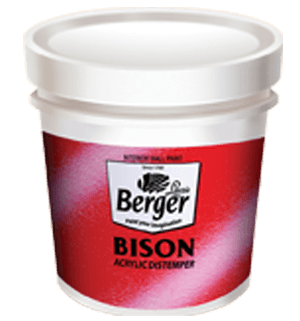 A Tough acrylic-based Distemper Bison Acrylic Distemper is a-100% water based acrylic co-polymer emulsion designed for interior walls. Available in both factory-made ready shades and in a tintable format, it gives surfaces an elegant and durable matt finish.